Valve is expecting Left 4 Dead 2 to be its fastest-selling in the company's history, launching a $25 million advertising campaign to make sure that happens. The original Left 4 Dead sold like gangbusters, thanks largely to word-of-mouth, positive reviews, and the $10 million that valve sunk into making sure everybody knew what the game was. The company now reaches even further, adding another $15 million worth of advertising for a game that is already one of its bestselling titles. 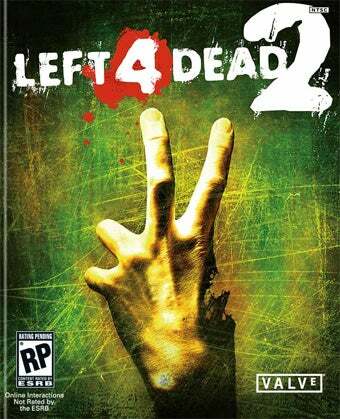 "We'll be supporting Left 4 Dead 2's launch with a $25 million campaign," said Doug Lombardi, Valve's vice-president of Marketing. "Left 4 Dead 2 has already set the record for greatest number of pre-orders in our company's history, and we're still over a month out from shipping." In the U.S., that money translates into billboards, banner ads on gaming sites, and televised advertisements to run during UFC events and Monday Night Football. Europe will also see a ramp up in outdoor advertisements, along with print, television, and website ads. It sounds like Left 4 Dead 2 will be everywhere you want to be over the coming month. Those of us already aware of the game will just have to wait patiently for release, practicing our "Yes, yes - we know" expressions."